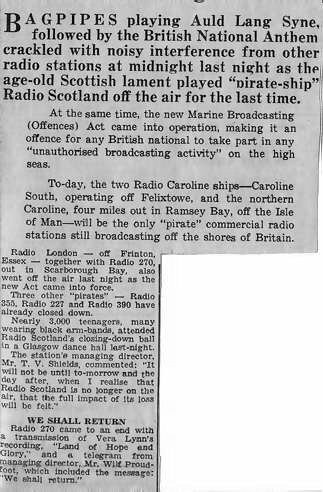 “The end of Radio Scotland” press cuttings. Donated by Richard Crichton, George Morris and Patrick Vienne. Return to The Radio Scotland Story.